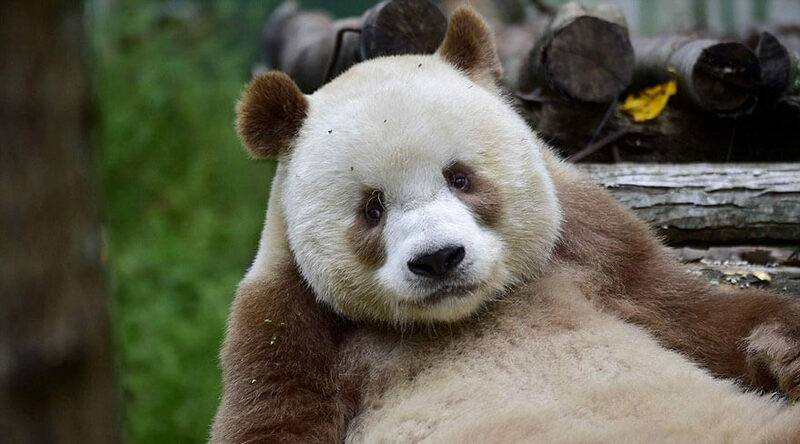 This panda is just like any other panda, only he’s brown instead of black. If you thought that bullying and rejection were restricted to the human race, you’d be wrong. 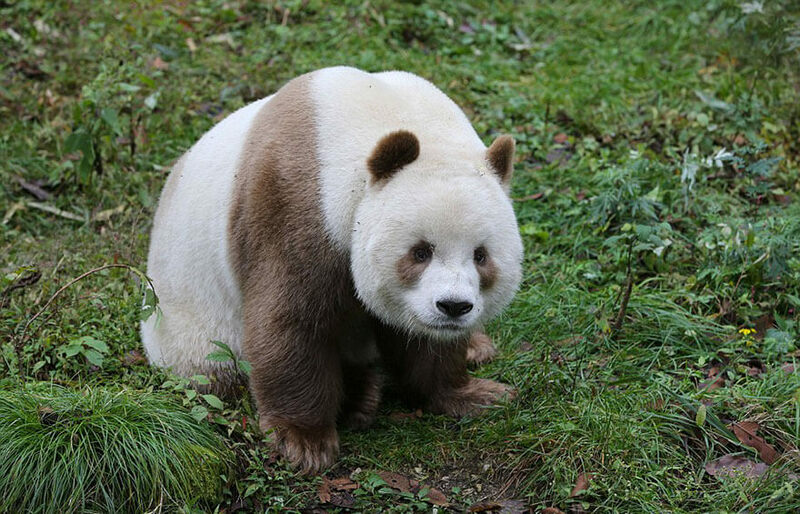 Qizai is the only brown panda in the world. 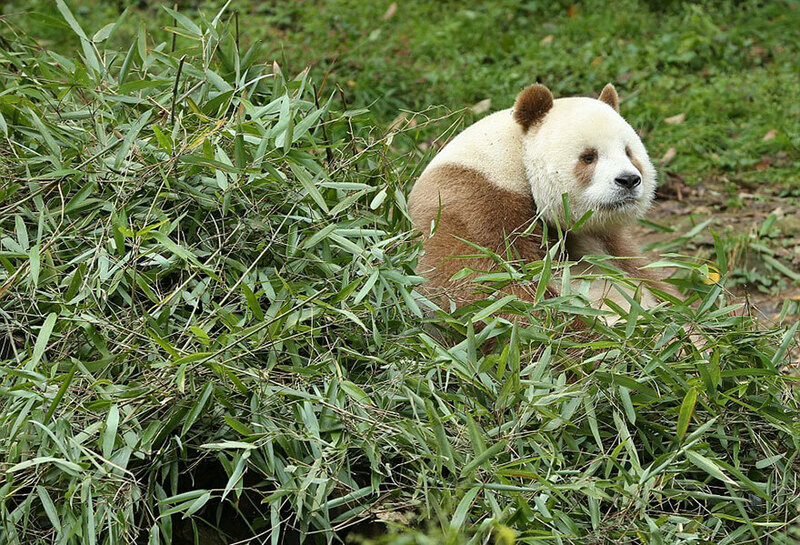 He was abandoned by his mother at just 2 months old and has been bullied by other pandas his entire life. 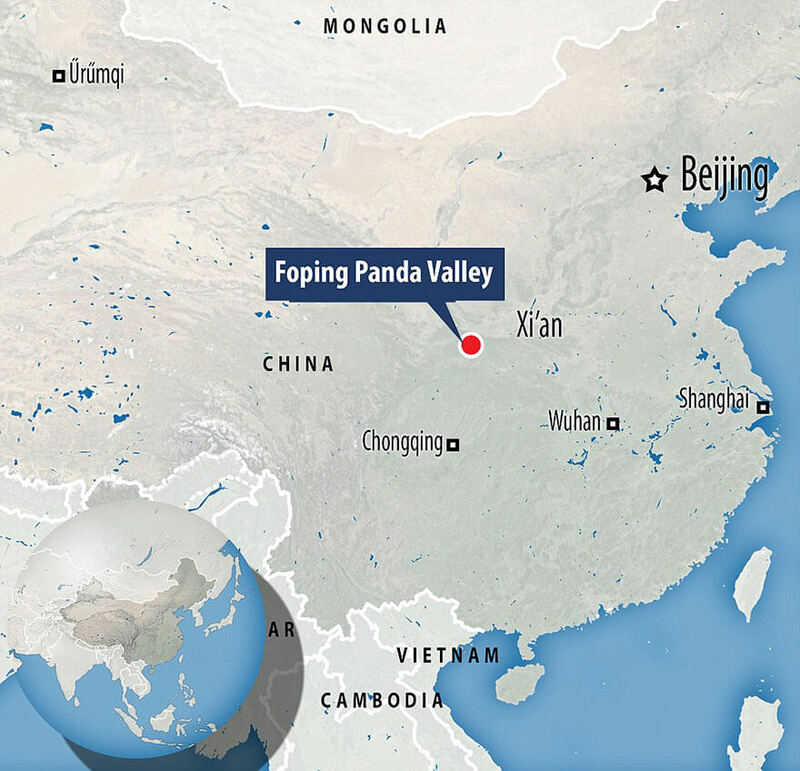 Qizai, meaning ‘the seventh son’, was found weak and abandoned by his mother in a nature reserve in Qingling Mountains in Central China. 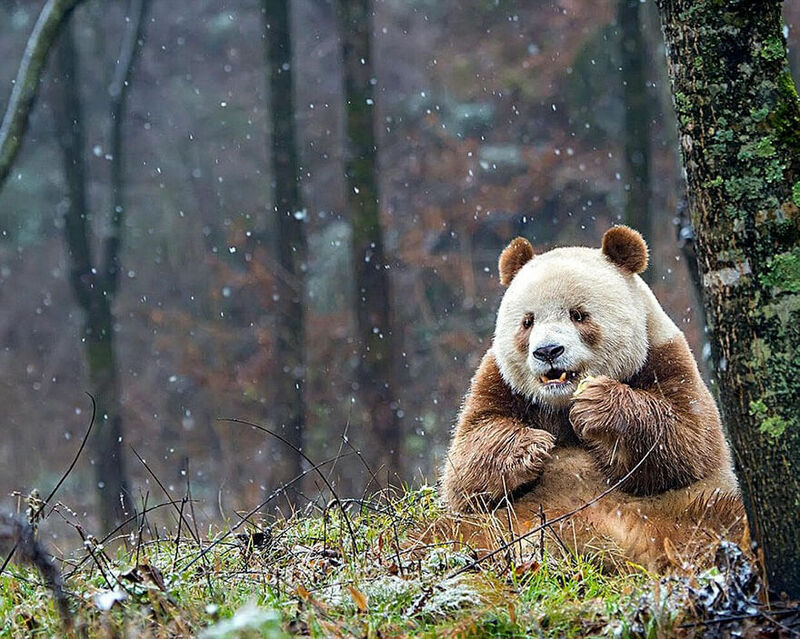 His mother was black and white, so it was strange that he was brown and white. Scientists believe the color of his fur may be due to a genetic mutation. 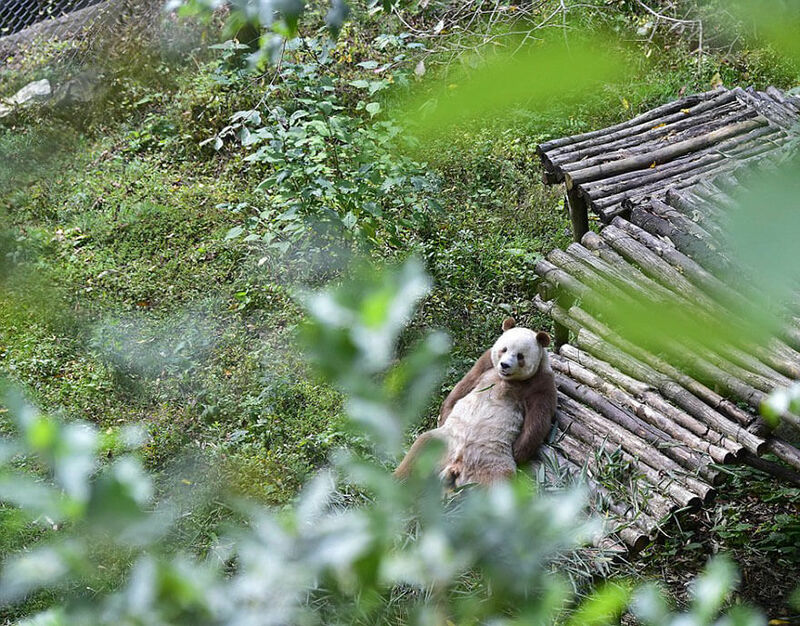 Qizai is now 7 years old and Chinese experts are looking to find him a mate. 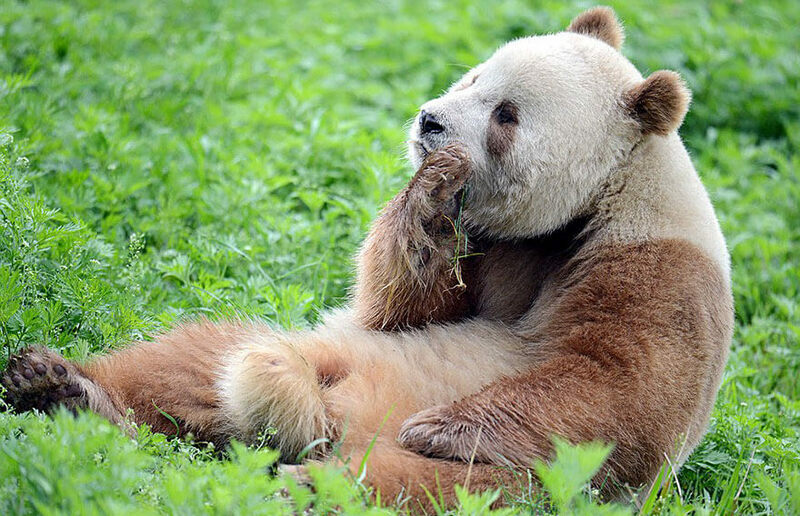 I wonder if the cubs they have will be brown and white or black and white. That would be interesting to see. 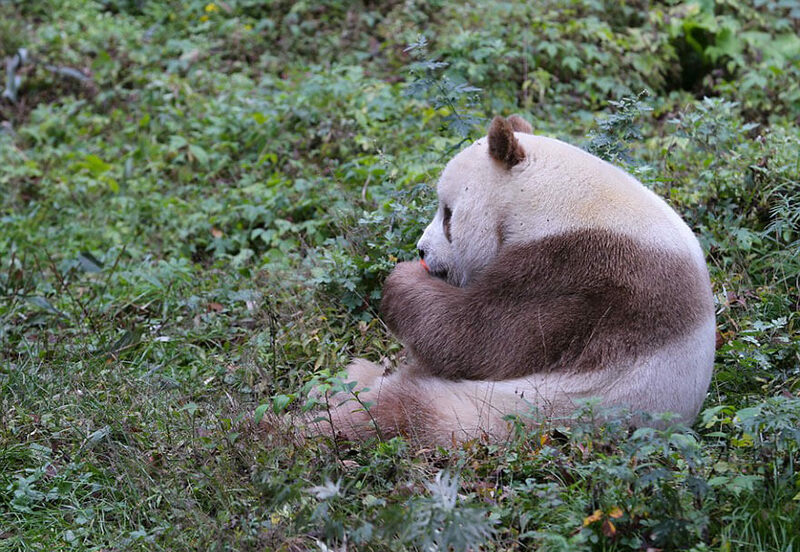 Every day, this star panda is fed and cared for on his own schedule. His personal caretaker wakes up every morning at 6:00 to make sure that he is well fed. After being abandoned and bullied his whole life, he deserves the best treatment. 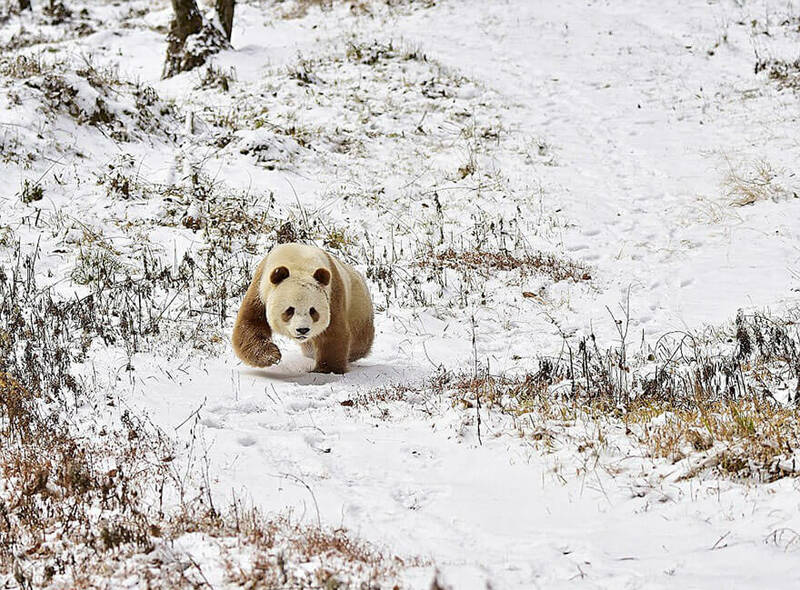 Take a look at these photos of Qizai. I think he knows he’s special. 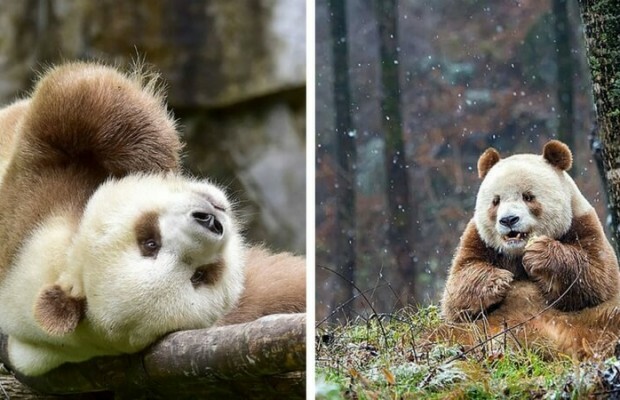 Because this brown panda looks different, the other pandas would steal his food and bully him, turning his childhood into a harsh one. 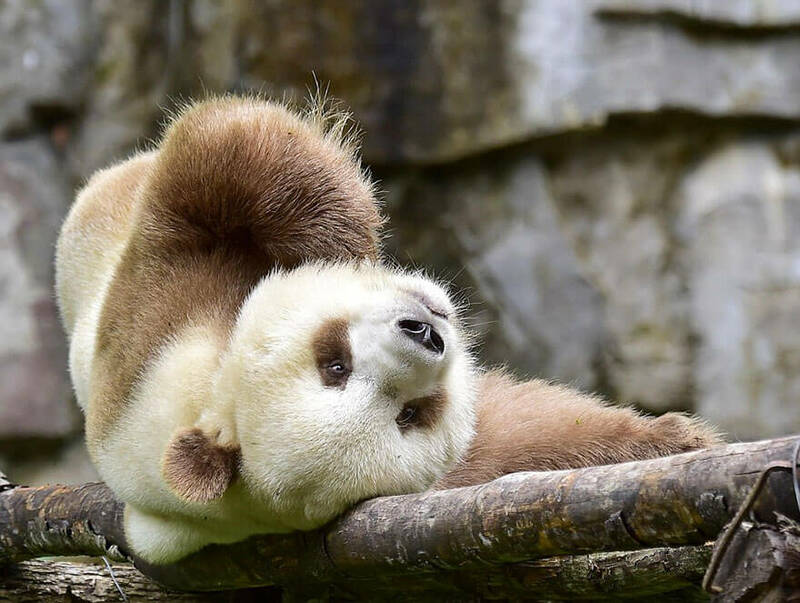 But like othe animals or even humans that grow up different, he is now a star and a well known panda and a little bit of a celebrity. 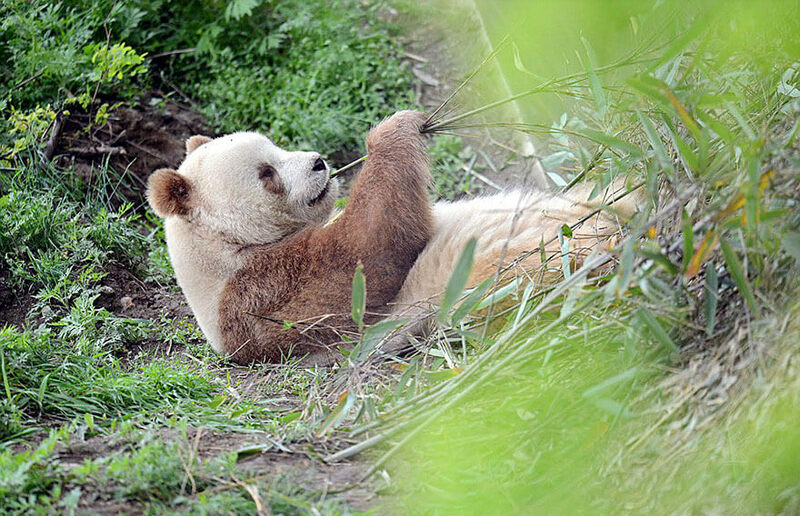 Qizay now weighs 220 pounds and eats roughly 44 pounds of bamboo every day! 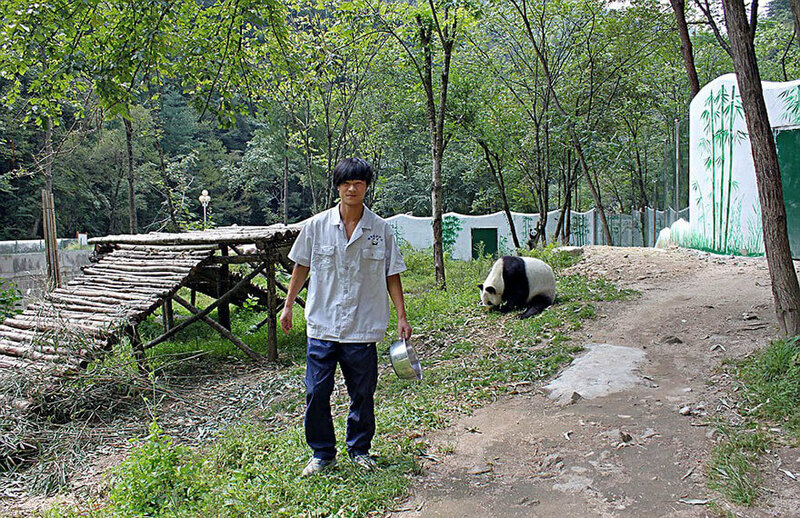 The panda keeper says he is a little bit slower than other pandas, but much cuter.